52 credits of coursework, including 32 credits from the listed required courses as well as at least 20 credits from the available additional courses. 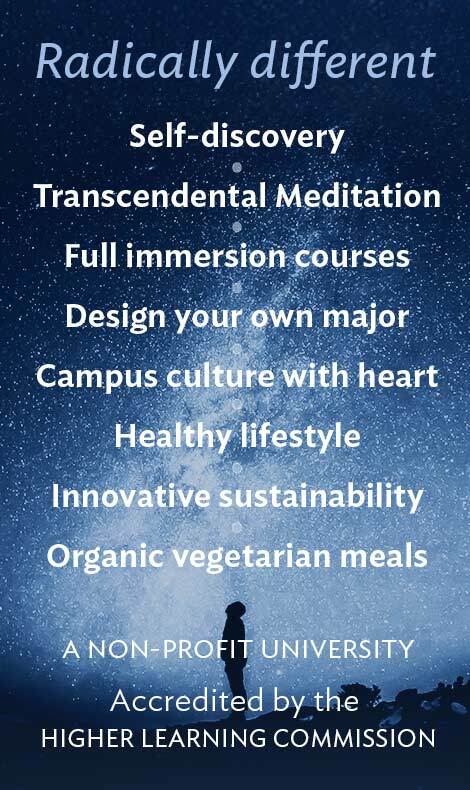 The Transcendental Meditation Sidhi® (TM-Sidhi®) program is a simple, natural, effortless set of procedures that accelerate the personal growth gained from the Transcendental Meditation technique. The TM-Sidhi program is designed to accelerate the growth of creativity, learning ability, physical health, and psychological well-being that TM technique practitioners report. This course comprises the Transcendental Meditation Program Teacher Training Course, providing the knowledge and experience of consciousness as the basis of life and preparing one to present the knowledge to others. It also gives an opportunity for personal development through deeper personal experience of the unified field of natural law and understanding of the Science of Creative Intelligence. Participation in the course does not automatically qualify a student to graduate as a teacher of the Transcendental Meditation program. Further training and fieldwork may be needed before graduation as a teacher. Students must have a minimum of at least one year of progress in a degree at Maharishi University of Management before taking MVS 490. The course must be appropriate to the degree the student is taking. 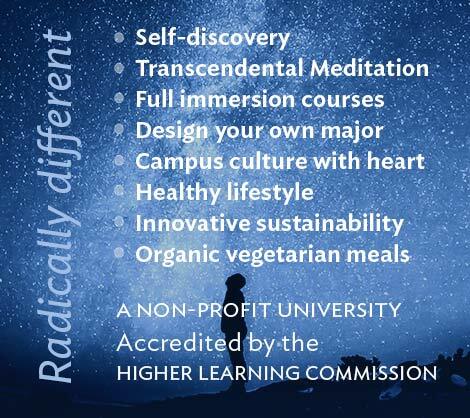 Academic credit for the completion of this course is offered by Maharishi University of Management, Fairfield, IA, under a contractual agreement with Maharishi University of Management, Netherlands, who controls the acceptance to the course, the cost of the course, and the content of the course. (12 credits) Prerequisites: STC 108/109 or FOR 500 and completion of one year of MUM coursework. This course is taught under contractual agreement with a non-accredited, non-federal-aid-eligible organization. Students must apply to and be accepted by that organization.